Are you looking for straighteners that are suitable to use on your hair extensions, we know it can worrying after spending a big amount of money on the perfect set of extensions, the last thing you would risk doing is sticking a boiling hot plate on your synthetic hair. Therefore we are here to help. Although hair extensions can be beautiful to look at they can be very hard to maintain, they need a low heat with gentle plates that wont melt the synthetic hair. Not only this its important to understand what hair care is needed to keep your extensions in a healthy condition. This seems to be a real problem that people have when trying to purchase a suitable pair of straighteners, making sure that the hair straighteners meet your hair extensions particular needs. · How high the temperature can reach? When it comes to styling or straightening hair extensions using heat, you need to exercise a bit of caution. Obviously, you also need to be cautious when doing the same to your natural hair. However, if you damage your natural hair, at least it will continue to grow and the damage will disappear eventually. If you damage extensions, they may be totally destroyed and have to be discarded, which is money down the drain. 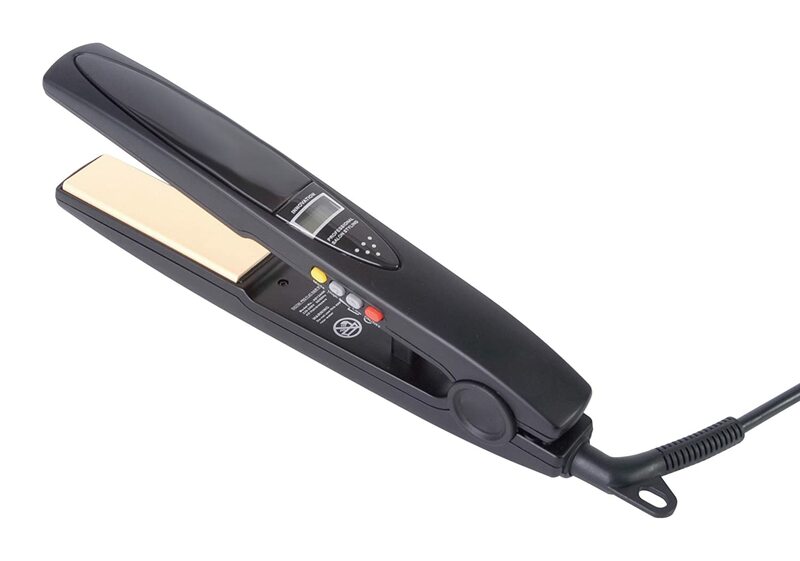 Firstly finding hair straighteners that are suitable for hair extensions, wigs and synthetic hair is very hard and unique straightener to find. 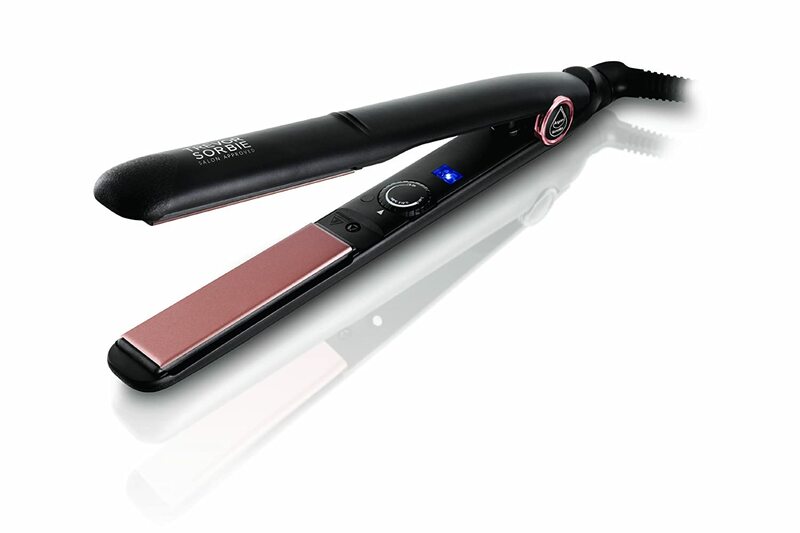 Moreover with it needing specific temperature settings and the correct plates, it is a very specific straightener. First and foremost here it is, the best hair straightener for hair extensions, the Wonder Styler Professional Straightener by Doll. Ultimately the unique fiber setting allows you to style hair extensions, wigs and hair pieces without damaging the synthetic fibers. No doubt it is – ‘a world first in the hair industry’, as mentioned by the editors of British Vogue. If you would like to read the full review on the doll wonderstyler professional hair straightener then read here. If you want to find the best straighteners for hair extensions, then the love hair extensions professional ceramic ionic hair straightener is defiantly one of the best products to keep in mind. 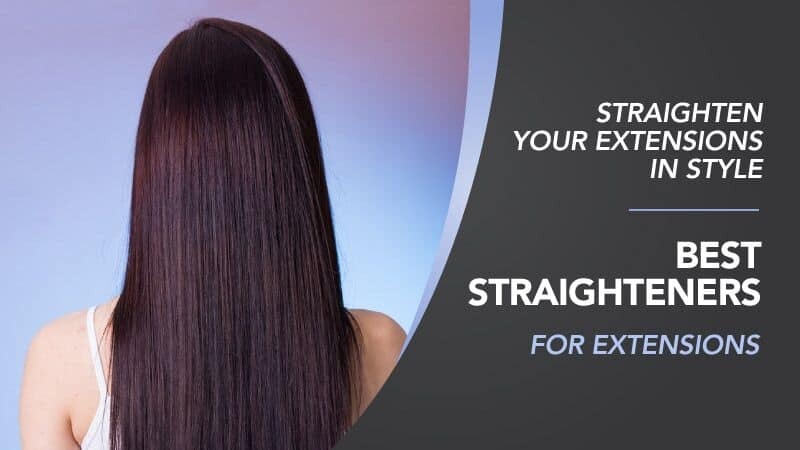 ​Starting with the interesting, high tech design and ending with a very good performance, this product brings in front just about anything that you might want from a professional straightener and it delivers the ultimate experience. If you would like to read the full review on the Love Hair Extensions then click here. 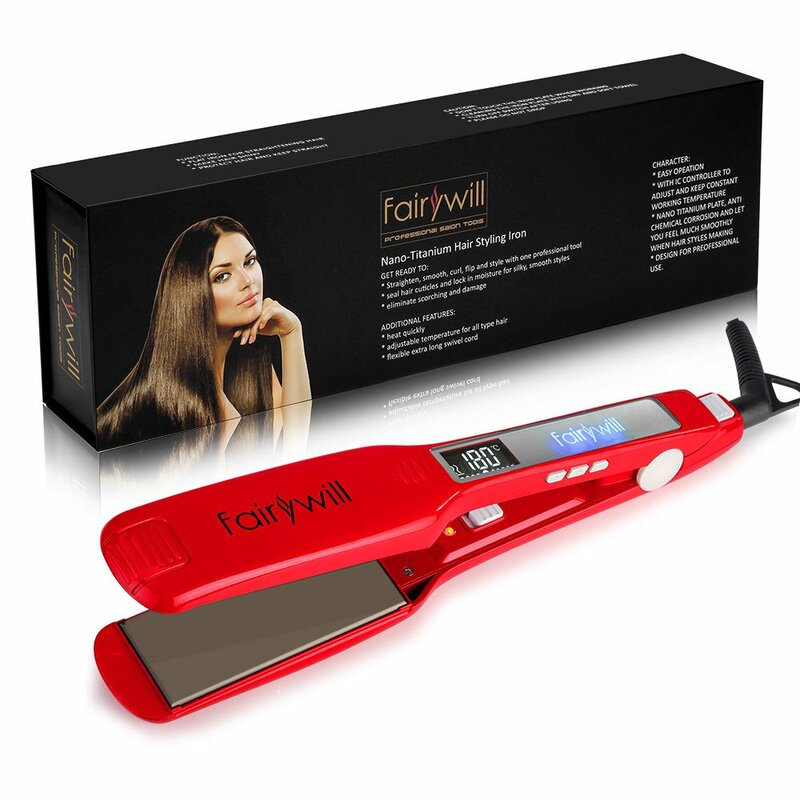 The Fairywill Hair professional hair straighteners are made with a professional salon ceramic plates with built-in heater for safe, fast and stable heating, with allows a long lasting styling performance. A great features that helps this straightener to be one of the best straighteners for hair extensions is the temperature will not decrease during straightener it maintains a high quality to keep its temperature. The temperature control has a LCD display from 80 to 230 centigrade, suitable for all types of hair including thick, natural curly, coarse and stiff hair including synthetic hair. The minimum setting can be changed by 5 centigrade up or down, easy to choose most suitable temperature for your hair type and condition. If you would like to read the full review on the Fairywill Hair professional hair straightener read here. The Diva Professional styling feel the heat wide hair straightener is the new, high quality hair straightening unit that emphasises on attention to detail and at the same time it focuses a lot on performance. This product produces top results, with a professional finish. It’s a modern, sleek design with quality kept in mind, which does help take the experience to new heights. It’s nice to see that the design does complement the results of your hair and it’s amazing to see how refined and detailed this product really is. Considering how small and light the Diva professional wide straightener is, considering most hair straighteners design with wide plates are bulky and heavy, this straightener seems to be packed with all the amazing and necessary features and that on its own makes it more than impressive. If you would like to read the full review on the Diva feel the heat hair straightener then read here. The Trevor Sorbie high performing hair straightener has ceramic Keratin and Argan infused floating plates that gently hug hair and surround it with heat to give you great control with results to match. Not only is beautiful hair now so simple to achieve; these tools will give you the confidence to be creative, excellent for super straight styles, kicks and bouncy curls. 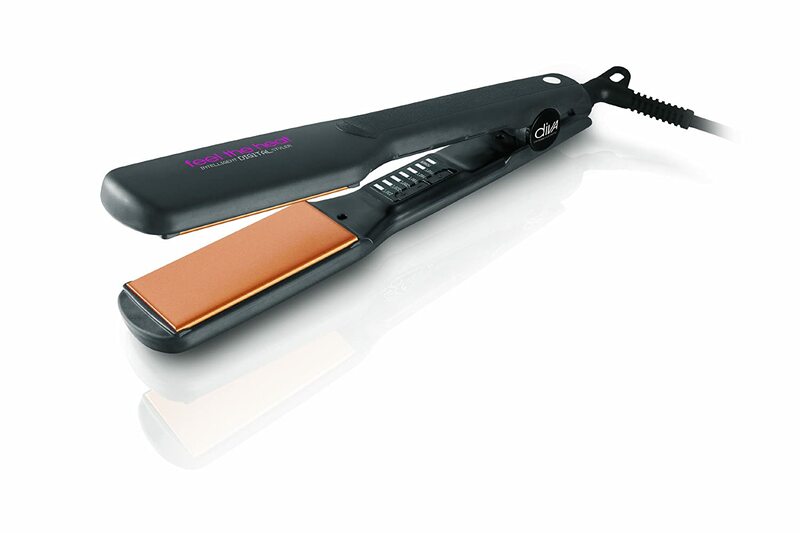 These Trevor Sorbie straighteners heat up to 230c with the option to use on hair extension settings at 110c. The straightener is suitable for all hair types including hair extensions. Auto shut-off energy saver that shuts down after 10 minutes if unused for safety. If you would like to read the full review on the Trevor Sorbie 230c Keratin Plus Argon Salon Straightener then read here. With all the options out there, it can be nearly impossible to choose the right iron for you. For hair extensions, your best option is almost always going to be a lower temperature. We hope we have narrowed it down enough for you to be able to have an idea on which straighteners to choose for your hair extensions. If you fancy a day with no hair extensions and want to style your hair head over to the best hair straighteners for short hair reviews, quick take a look!